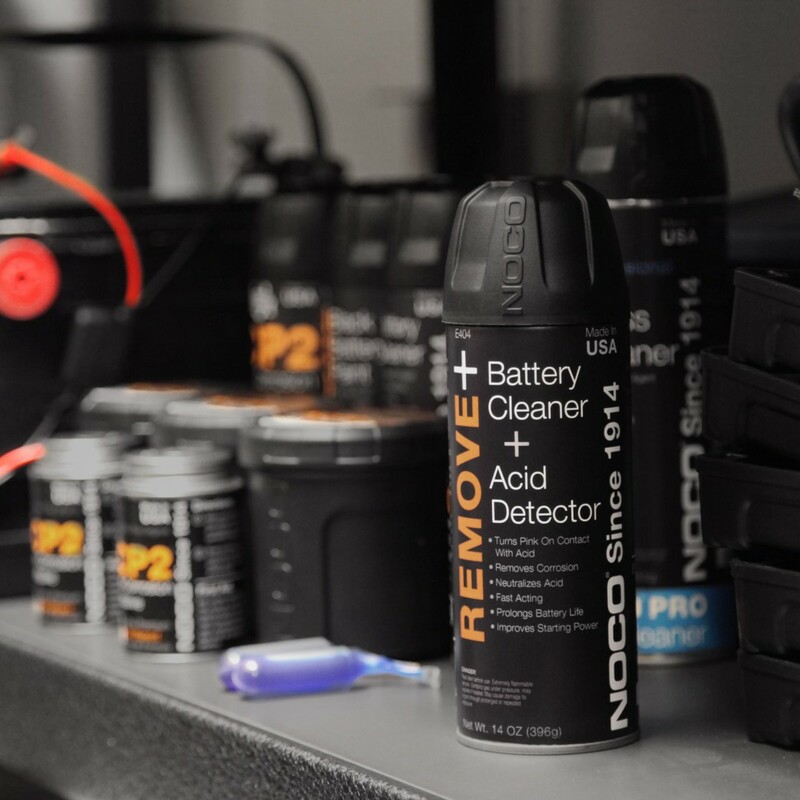 The E404 Remove+ Battery Cleaner and Acid Detector features a specialized foaming agent which turns pink upon contact with battery acid. 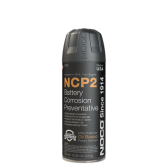 It instantly neutralizes, dissolves, and removes battery corrosion from battery terminals, cables, hold-downs, battery boxes and more. It is formulated to assure maximum current flow and reduce potential voltage leakage. Comes packaged in a 14-ounce aerosol can. Instantly neutralizes, dissolves and removes battery corrosion. Changes color upon contact with acid. Ideal for battery terminals, cables, hold-downs and boxes. Restores maximum current flow and reduces potential voltage leakage. Packaged in a 14-ounce aerosol can. 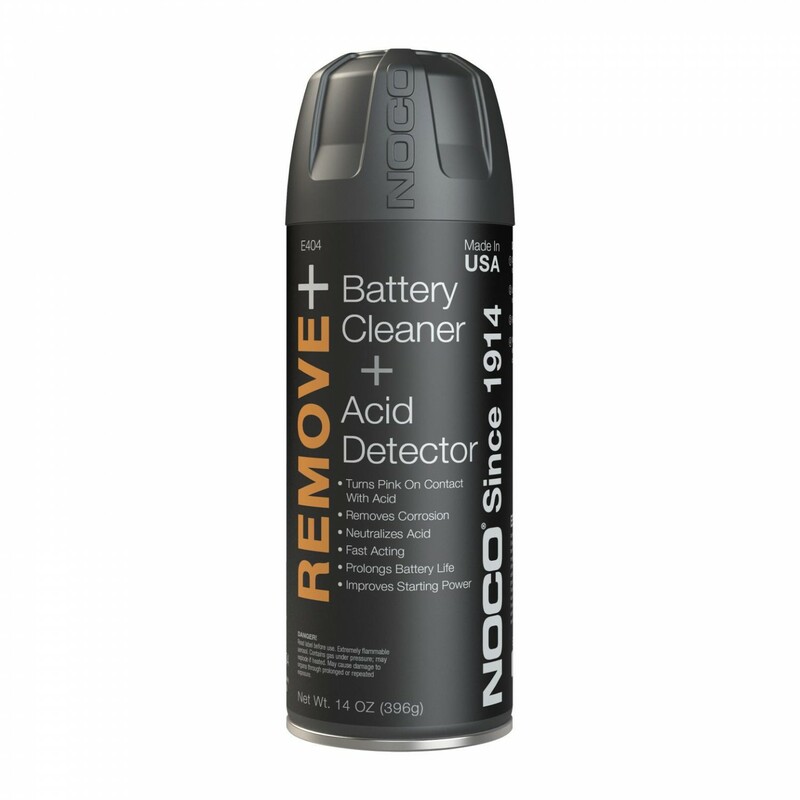 Cleaner and acid detector in a single can. The E404 formula not only cleans the battery and terminals, but will also help diagnose the health of the battery. The two part formula begins as a yellow foam then turns pink in the presence of battery acid. 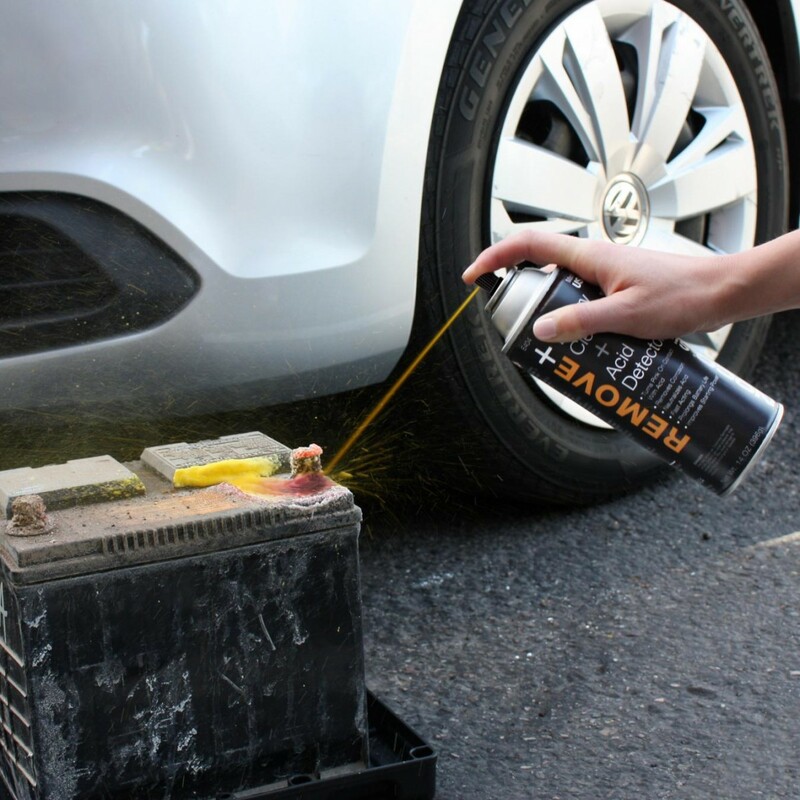 Not only does this foam clean the battery, but the color indications help to diagnose any cracks, leaks, fumes, etc. that are common in batteries as they age. NOCO strives to create only the best. Every cleaning product NOCO sells is designed, engineered, and produced in the USA. We value your time too. Our fast acting formula dries in just a few minutes so you can be on your way. Foam not only helps to break down tough build-up, but is also easier to clean than liquid spray. The E404 Battery Terminal Cleaner and Acid Detector aerosol can stores 14-ounces of battery cleaning formula for spray applications.